The objective of this project is to review the Certificate III in Automotive Manufacturing Technical Operations – Bus, Truck and Trailer (AUM30213), to ensure technical accuracy and currency, and to consider whether the qualification is meeting the needs of industry and learners. The Case for Change for this project was established as a result of initial research and consultation undertaken by the previous automotive Industry Skills Council, Auto Skills Australia. The project was submitted in a Case for Change – previously referred to as a Business Case – to the Australian Industry and Skills Committee (AISC) in December 2016. 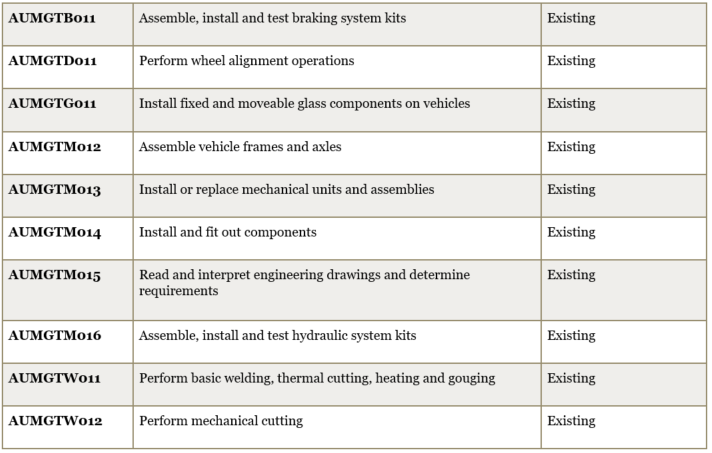 The technical accuracy of the units within the qualification to meet changing technology within the automotive industry. Following the IRC’s review of our key findings from consultation and the recommendations we proposed for changes to training products, we developed a draft training product to address the skills gap. The final round of public consultation has now closed. 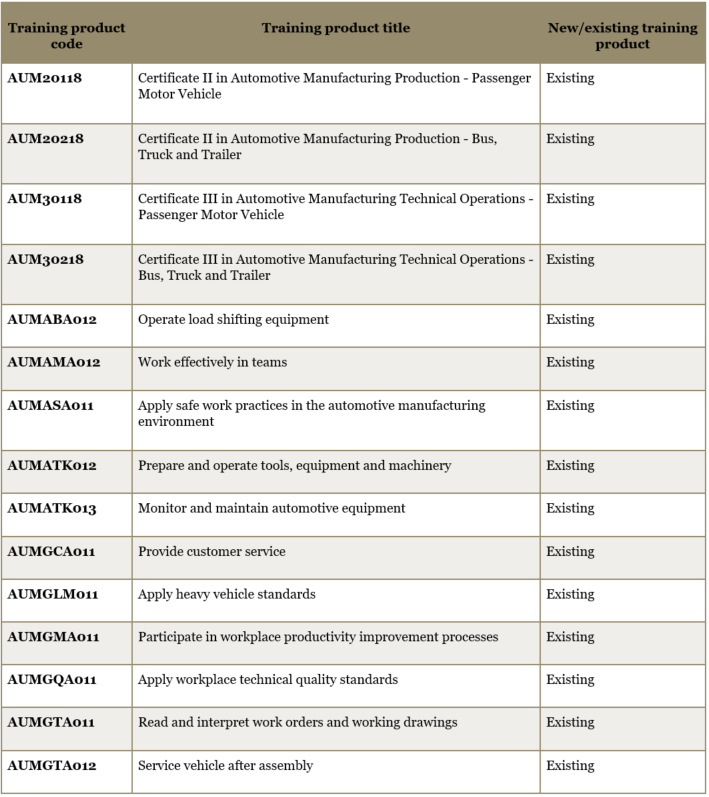 A Case for Endorsement for changes to the Automotive Manufacturing Training Package has been submitted to the AISC, on behalf of the Automotive Heavy Vehicle IRC. It will be considered in August 2018. Thank you to all those who provided their valuable input, and remember to subscribe to our mailing list to be kept up to date on how the project is progressing. The Case for Endorsement for Review of AUM30213 (Certificate III Auto Manufacturing Technical Operations – Bus, Truck, Trailer) was approved by the AISC in August 2018.